You go to a fortune teller and ask what will happen in 2012, expecting her to repeat rejected phrases from the Panda Express fortune-cookie line in a wistful, croaking manner. Instead, she busts out this ratings list for coming XBLA titles and you tip her 200 percent, leaving with your mind blown and open to a whole new world of mental planes and spiritual awareness. Little did you know: that fortune teller was Jordan Mallory in a dress. Try excising that image with incense. A batch of freshly rated XBLA games from around the world include titles we knew about, such as I Am Alive (MA 15+ for Australia) and Spelunky (PEGI 7 for UK), and also some unknown games, including Wreckateer, a submission from Microsoft rated for Korea. The list is provided by XBLA Fans, and can be found right here. A fresh batch of XBLA titles rated around the world originally appeared on Joystiq on Sat, 31 Dec 2011 12:30:00 EST. Please see our terms for use of feeds. 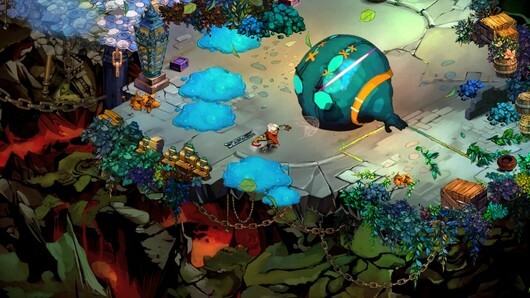 It's been a critical success and now developer Supergiant Games has revealed Bastion is also a commercial success. The recent Steam and Xbox Live Arcade sales helped to push Bastion over that 500,000 mark, the developer's blog states. "When we set out to make Bastion, a sales number like that seemed astronomical to us, so it feels great to have hit that mark," creative director (and Bastion writer) Greg Kasavin said. "It goes to show that a lot of folks out there like what we're doing and want us to keep going, which is great, because we intend to stick together as a team and do just that." Considering the universal praise for the studio's first game, we can all agree that's a very good thing. The kid succeeds: Bastion sales exceed 500K originally appeared on Joystiq on Sat, 31 Dec 2011 03:40:00 EST. Please see our terms for use of feeds. On January 1, 2012, Microsoft will remove firearm props it deems unsuitable for Xbox Avatars. What does that entail? Your guess as good as ours, since our request for a comprehensive list is still working its way through the machine. What we do know is that Gears of War weapon props are out. "Xbox Live Marketplace has updated its policies to provide further clarity for third-party publishers submitting content for approval. This includes details about weapons such as firearms. Xbox Live has always reserved the right to reject or expire from the marketplace any type of weapon prop content that is deemed unsuitable for its general audience," Microsoft informed us in a statement. "Because the Xbox Live Marketplace is accessible to members of all ages, it is important our policies clearly address what content is available to all. This policy provides additional clarity to publishers in advance of the content review process." Since items purchased in these final moments of 2011 will still be accessible to your Avatar after the content is yanked, take this as the final reminder to grab any Avatar prop "weapons," "firearms" and "gun-like" content before it's pulled. 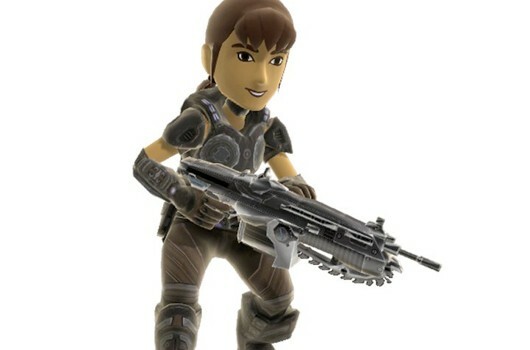 Reminder: Last chance to buy Xbox Avatar 'firearm' props originally appeared on Joystiq on Fri, 30 Dec 2011 16:40:00 EST. Please see our terms for use of feeds. In Haunt, Parappa the Rapper developer Nana-OnSha's upcoming Xbox Live Arcade game, players will use Kinect to direct a main NPC voiced by Tim Schafer around a spooky, and somewhat goofy, haunted house -- that much we knew. And in a recent interview with Gamasutra, executive producer Masaya Matsuura and producer Dewi Tanner revealed how the main character came to be voiced by the Double Fine head and well-known goofy gentleman. "He's very, very interesting for it," Masaya said when asked about Schafer's participation. Apparently the main character's voice had already been recorded, but after hearing Schafer's speech at a GDC "Choice Awards" ceremony, the Nana-OnSha folks reconsidered. "We talked about 'maybe something is missed,' still," Matsuura said. "And one day you told me about how Tim would be a good voiceover actor," he added to Tanner. Tanner said that Tim's time was understandably constrained, being the head of another game studio and all, but the team "managed to squeeze him in nonetheless ... a couple of afternoons and we were pretty much done." Tanner also pointed out that Haunt isn't exactly a serious endeavor, and Schafer's "passé humor" was perfect for the role. The game is still absent a solid launch date, but it's probably safe to say it's gonna miss its previously scheduled 2011 release window. Tanner teased in the interview that, "We're just winding up the game right now; things are looking clean right now, so it should be a smooth submission." So, uh, soon-ish! Update: This piece originally listed Tim Schafer as the main character in Haunt, rather than the main NPC. It also listed Masaya Matsuura as the creative lead, rather than executive producer. Our apologies! 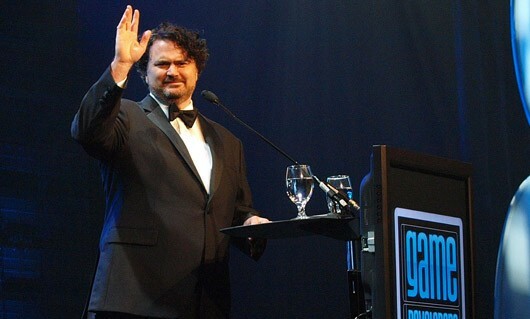 How Tim Schafer ended up as a main voice in upcoming Kinect XBLA game Haunt originally appeared on Joystiq on Fri, 30 Dec 2011 15:40:00 EST. Please see our terms for use of feeds. Europe's PEGI ratings board has classified RedLynx's Trials Evolution, giving rise to the hope of a launch announcement for the tricky motorcycle title that'll launch "when it's done." 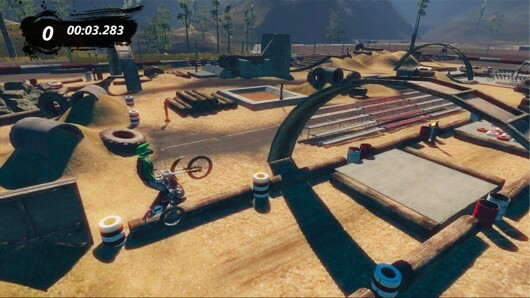 Trials Evolution would be the second high-profile XBLA game rated by PEGI and noticed by XBLAfans this week, with Fez's classification reported yesterday. 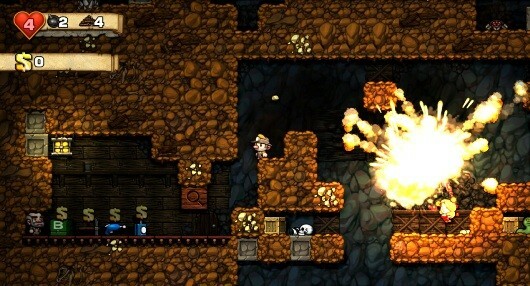 Hmmm, Fez, Trials Evolution and Alan Wake's American Nightmare are all stirring at the same time, with two of the titles pegged as early 2012 launches. Could Microsoft have another House Party ("Winter of Arcade") in the works? If so, and if history is any indication, an announcement should occur in the next couple weeks. Trials Evolution rated by PEGI originally appeared on Joystiq on Fri, 30 Dec 2011 13:55:00 EST. Please see our terms for use of feeds. 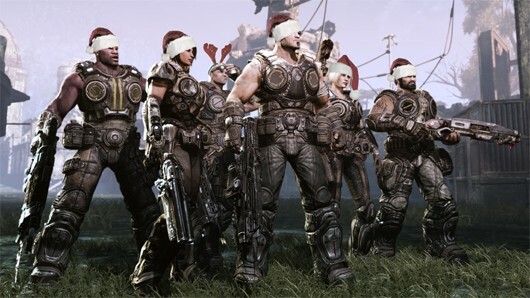 Today's Xbox Live Marketplace holiday promotion covers Gears of War 3, with discounts on in-game content and at least one soon-to-be-discontinued Avatar prop. The highlight of today's deals is the Gears of War 3 "Season Pass," which grants access to four DLC packs (two already available, two upcoming) for 1800 MSP ($22.50), which is 25 percent off the regular price. There's also a 50 percent discount on the "Gears 3 Skins Launch Collection," also priced today for 1800 MSP. 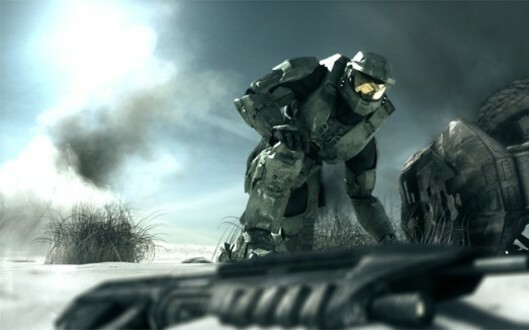 Microsoft will discontinue "gun-like Avatar items" from the Xbox Marketplace on January 1, 2012. This means here's your last chance to get the Gears of War Gold Lancer prop -- not only at a 50 percent discount of 160 MSP ($2) -- but, like, ever. The Gears Boomshield prop appears to be safe from delisting, and is also available for 160 MSP. Gears of War 3 'Season Pass,' props on sale today originally appeared on Joystiq on Fri, 30 Dec 2011 12:10:00 EST. Please see our terms for use of feeds. You know, the younger crowd has more ways than ever to pay homage to their favorite games. Back in our day, the only "machinima" we could produce were crude sketches of Chrono and the Battletoads in our Trapper Keeper. Now kids can produce short films about their favorite game using their favorite game! And that's pretty much what Halo: Eye of the Storm is. Created under Microsoft's Game Content Usage Rules in Halo 3, this 22 minute epic re-imagines the events of The Storm, the game's fifth campaign mission. In his submission email to Joystiq, creator Philip Kang told us it took over two years to create Eye of the Storm. He had to play through the same mission over 100 times trying to get the AI to do specific things necessary for each shot. Actors, right? In the end, it was all worth it: Kang's created a video masterpiece, now featured on a website our friend's uncle once called "a website." Halo: Eye of the Storm is anything but calm originally appeared on Joystiq on Fri, 30 Dec 2011 02:02:00 EST. Please see our terms for use of feeds. 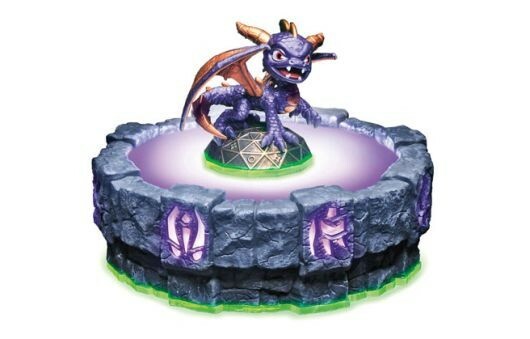 The very first time we saw Activision's Skylanders: Spyro's Adventure figures at a pre-E3 event earlier this year, it seemed only a matter of time before some enterprising enthusiast cracked open both the toy figures and the "portal" base unit, and figured out how they wirelessly connected. Sure enough, a tinkerer named Brandon Wilson recently did just that, and posted his results on his personal website. In return, he got an official cease-and-desist letter from Activision a few days later, telling him to take the findings down immediately. Wilson wrote a response to point out that most of Activision's accusations against him are inaccurate: He was not intending to share his findings with others (only saved them in a .zip file for his own personal use), and has no intention to circumvent the game at all, either by using the Skylanders hardware with an iOS device (since the technology is based on RFID), or by "tricking" the portal into thinking he owns a Skylanders figure when he doesn't. Despite all of that, however, Wilson has agreed to follow the cease-and-desist order. It seems a shame -- some of the most fun hacks have come out of toys both old and new, and if Wilson wants to dissect toys he's purchased for his own enjoyment, that seems reasonable. We've contacted Activision to try and get an official position; it's likely we haven't heard the last of this just yet. Activision sends cease-and-desist to Skylanders hacker originally appeared on Joystiq on Fri, 30 Dec 2011 00:30:00 EST. Please see our terms for use of feeds. 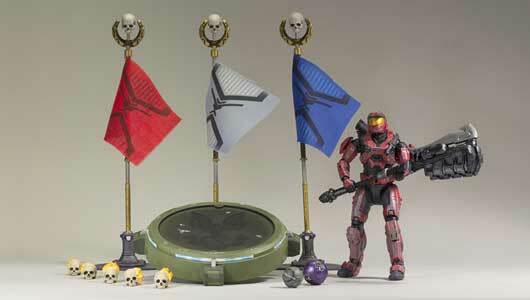 Another platoon of Halo: Reach action figures from McFarlane Toys is set to be deployed to a toy store near you. Microsoft has revealed the Series 6 figurines, which include new individual Carded Figures and Deluxe Boxed Sets, will be available in February 2012. New individual figures include Noble Team members Kat and Jun, an Elite Zealot, Brute Major and the Team Objectives set seen above. Finally, Kat can live forever in both our hearts and our toy display case! McFarlane's sixth Halo: Reach action figure series drops in February originally appeared on Joystiq on Thu, 29 Dec 2011 23:00:00 EST. Please see our terms for use of feeds. Can you imagine the original Xbox 360, with its 20GB hard drive, being used as a DVR? We really can't see it working, but in January of 2007 Microsoft was down with the idea. Patents discovered by Tom's Guide detail plans for a gaming console similar to the Xbox 360 with a "digital video recorder (DVR) application running alongside a television client component." 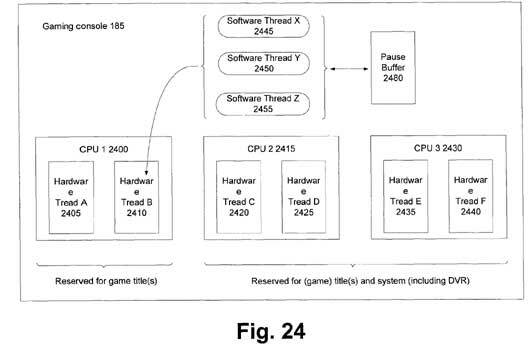 In the alternate reality where Microsoft actually followed through with this patent, the console in question would be able to directly record content even when playing games or if "the gaming console is turned off." Of course today the Xbox 360 can stream content in a number of ways, but does not allow for direct recording to the hard drive. Now that the ceiling for storage has been raised on the platform we'd be on board with such functionality, but if this languishing patent is any indication Microsoft is fine with the current state of things. Old Microsoft patent details gaming console with DVR functionality originally appeared on Joystiq on Thu, 29 Dec 2011 21:00:00 EST. Please see our terms for use of feeds.